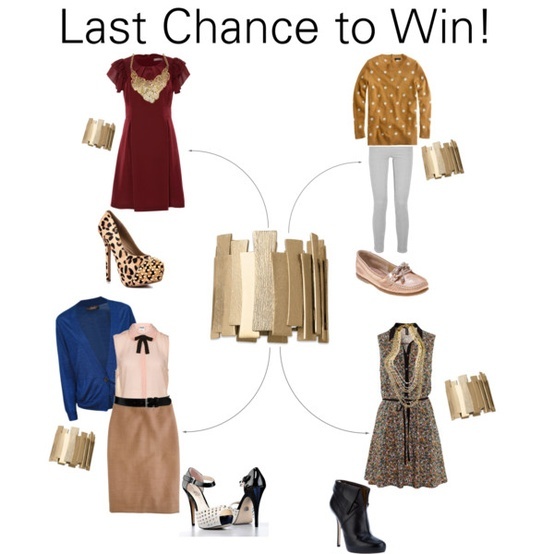 Just a reminder that today is the last day to enter for a chance to win this gold Lia Sophia bracelet! It is so versatile, as you can see above, go to this post to enter and win! I will be accepting entries through Midnight tonight (Central Standard time– in US). This is open to EVERYONE and the winner will be announced Monday. Good luck and Happy Weekend! JTV Jewelry Favorites and a GIVEAWAY!